Southwater Local History Group has a website. Please look at their website for current information and before making a special journey to any event. Contact details for the organisers are below and on their website along with other information. Below we have provided just a summary of the group's activities. 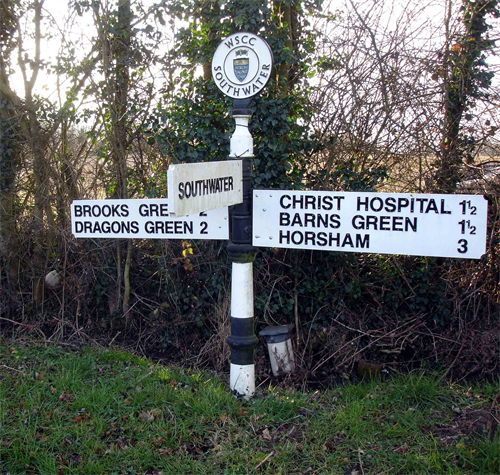 The Southwater Local History Group was formed in September 2003. Its aim is to amass an archive of material relating to the origins and development of the area we now call Southwater, from the earliest times to the present day. The archive is to be a community resource and therefore available to anyone for viewing, on request.We are a small friendly Group and would be delighted to welcome new members. It would also be very nice to hear from anyone who would be willing to share with us their own research work, memories, stories, photographs, postcards, etc – in fact, anything that sheds light on the history of the village.Our meetings are held at 7.30pm on the first Monday of each month in the Beeson House, Lintot Square. If you would like further information or just want to pass on an item of interest, our contact details are given below.